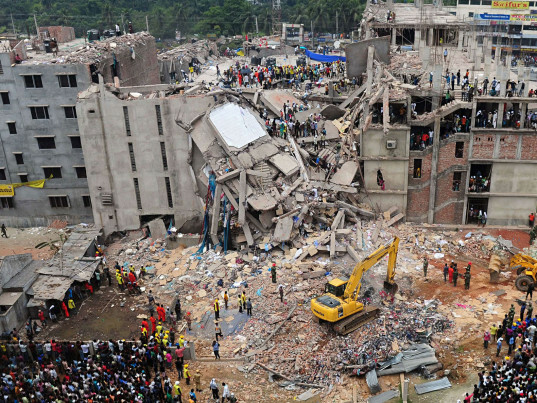 Two years after the deadliest industrial disaster in the history of apparel manufacturing, H&M is “dramatically” lagging behind on correcting the fire and safety hazards in its factories in Bangladesh, according to a joint report released by the International Labor Rights Forum, Clean Clothes Campaign, Maquila Solidarity Network, and Workers Rights Consortium on Thursday. Using publicly available data provided by the Accord on Fire and Building Safety in Bangladesh, the report examined H&M’s progress in improving working conditions in the South Asian country’s flourishing but ill-regulated garment industry, particularly in the wake of the collapse of the multi-factory building Rana Plaza, which killed 1,138 workers and injured thousands more just outside the capital of Dhaka in April 2013. The largest producer of garments in Bangladesh, H&M was the first to sign the accord, a legally binding contract that requires Western businesses to help finance improvements in the factories they use in Bangladesh. But despite its promise to help create a safe and sustainable garment industry in Bangladesh—one in which “no worker needs to fear fires, building collapses or other accidents that could be prevented with reasonable health and safety measures,” according to the company’s own statement—H&M’s actions have been found wanting in the report’s eyes. Even the factories H&M considers among the best in its supply chain are more than six months behind schedule for most repairs, which include critical renovations such as the installation of fireproof doors, the removal of locking or sliding doors from fire exits, and the enclosure of stairwells to facilitate egress, the report said. “The Bangladeshi workers who sew H&M’s clothing continue to toil in extremely dangerous conditions, in many cases lacking the most urgent and lifesaving fire safety measures,” Liana Foxvog, director of organizing and communications at the International Labor Rights Forum, said in a statement. And this time, H&M can hardly plead ignorance. “For the first time ever, thanks to the accord, H&M now knows all the renovations needed to finally make its factories safe so that workers will no longer risk their lives and worry whether they’ll experience the next Rana Plaza,” said Bob Jeffcott, co-founder and policy analyst for the Maquila Solidarity Network. “Despite this knowledge, they continue to drag their feet to carry out these critical renovations. RELATED | Is Our Addiction to Fast Fashion Just Another Form of Terrorism? Samantha Maher of the Clean Clothes Campaign, however, was a little more blunt. 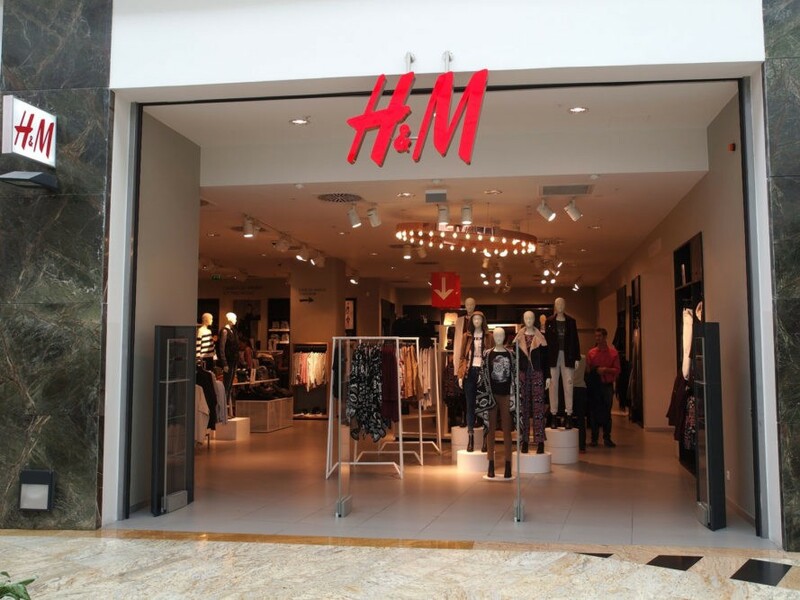 “If only H&M was willing put the same energy into actually meeting their much lauded sustainability commitments as they do into promoting them, we may well be closer to seeing a safer garment industry in Bangladesh,” she said. I completely agree with Samantha Maher. I also continually wonder why companies focus on sustainability but not ethical treatment of their workers (and vice versa). Don't both concerns deserve equal treatment?